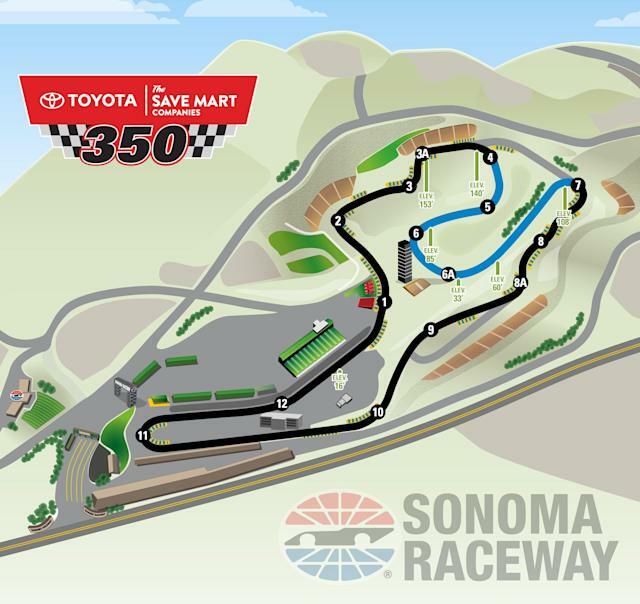 The carousel is back at Sonoma in June. So the Cup Series race will be approximately eight miles longer than it was in 2018. NASCAR revealed Wednesday that the race would be 90 laps instead of 110 laps. But since the track is longer now, the race will be extended from just under 219 miles to just under 227 miles. The first two stages of the race will each be 20 laps. NASCAR has run a two-mile layout of the road course since 1999, skipping what is known as turns 5, 6 and 6A on the track and going straight from turn 4 to turn 7. With the additions of the three other corners, the track is now just over 2.5 miles long. The carousel was included in the original layout of the track when the Cup Series started racing at the track in 1989. Its addition comes as a vocal subset have advocated for Watkins Glen to run “the boot.” Much like Sonoma in the pre-carousel days, Cup cars at Watkins Glen skip a section of the track that is used for the IndyCar Series and IMSA.